Easy Cheese Biscuits and #TheWisestKid - Chocolate Chocolate and More! I have the wisest kids. I wouldn’t change being a mom for anything in the world. Everyone always gushes about how wonderful their kids are, how perfect, what sweet angels they are. Not my kids. My kids are real. My kids don’t pick up their dirty clothes off the floor without being told 20 times. When they go outside to play, they come in dirty and sweaty. They love each other fiercely but you’d never believe it the way they fight with each other…constantly. My kids know the power of words. No matter what they do, no matter how crazy they make me. They know with just a few words, they can make the world right again. “I love you Mama.” They are wise. Just those 4 words and life is good. Campbell’s has been making kid friendly soup for over 144 years. I grew up on it and my kids are too. Nothing better than a hot bowl of soup and a couple biscuits on a cool day. The perfect easy lunch. Tomato soup is perfect for dunking. And we’re a family of dunkers. 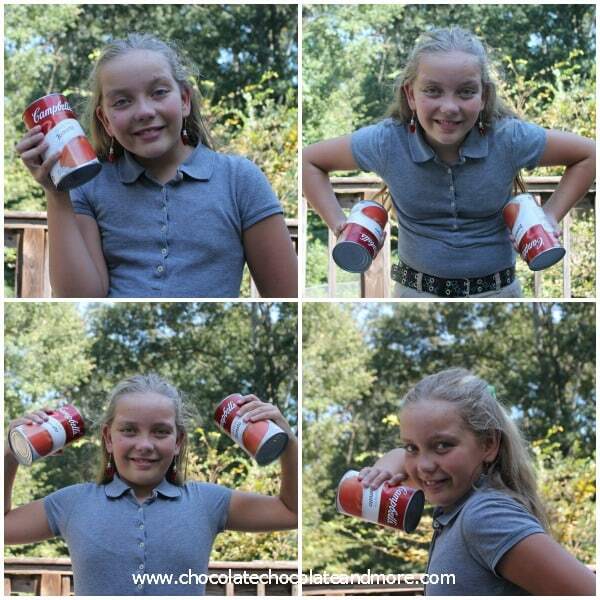 And of course my crazy girl just had to get a little exercise in posing with the cans, she’s such a ham. Preheat oven to 500 degrees. Lightly grease a baking sheet. 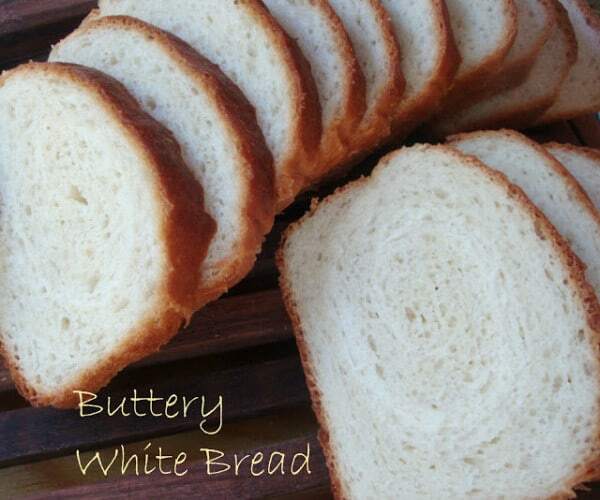 Cut shortening into flour using a pastry blender. Stir in cheese just to coat. Add in milk. Mix together just until blended. Turn out dough onto well floured surface and knead 7-8 times. Don't over knead. Roll dough out to 3/4 inch thickness and cut using a round cutter. Place on baking sheet at least 1 inch apart. Bake in preheated oven for 8-10 minutes, just until tops are golden. Melt butter and stir in garlic powder and parsley. Brush over tops of hot biscuits. These biscuits are light and full of flavor. Kid’s tastes in food are one of life’s great mysteries. As a kid I wouldn’t touch a tomato but Tomato soup was my favorite. My girls can’t stand mushrooms but using Cream of Mushroom soup in a casserole, oh yeah baby, they just can’t get enough. Check out Campbell’s new kid friendly recipes at www.campbellskitchen.com for lots of great meal ideas. Want more easy sides for soup? I love this! Your kids do sound awesome and much like the one I have. Those biscuits also look amazing. And with tomato soup? Way big yum. Lori, just be careful, these biscuits are highly addictive. I might have eaten 3 or 4 of them myself.